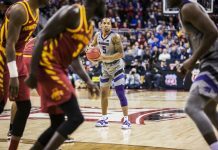 After three-consecutive losses, the K-State men’s basketball team finally put the pieces together to secure their first victory in nearly three weeks, beating TCU 58-53 at Bramlage Coliseum on Wednesday night. While the Wildcats (8-7, 1-1 Big 12) started the game slow, they relied on the resurgence of sophomore guard Marcus Foster to propel them past the hot-handed Horned Frogs (13-2, 0-2 Big 12). With the victory, K-State erases the sour taste in their mouth after the three-game skid last week, including two home losses and a deflating road game against Oklahoma State Saturday to open up Big 12 action. With lessons learned from those previous losses, the Wildcats showed improvement on the defensive side of the ball against the Horned Frogs. Averaging 74.6 points per game coming into the matchup, TCU entered one of the best teams in the country in scoring. 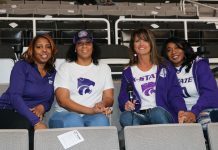 But a solid defensive presence allowed K-State to overcome a stagnant offense en route to the victory. 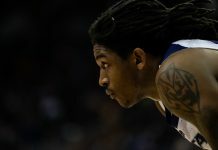 While the victory helps the Wildcats’ confidence, the biggest story for the team was the way Foster played coming off of the bench. The sophomore star came into the game looking to show the coaches his value. With a team leading 23 points, he did just that and more. To speak to the drastic change that Foster showed Wednesday night compared to last week, TCU head coach Trent Johnson noted the sophomore trusted the system, his coaches and teammates more. “Somebody woke up tonight, I thought Marcus [Foster] played extremely well,” Johnson added. For Foster, the experience was out of the ordinary. Since he arrived in the program, he’s been able to produce very well in the starting lineup. For Weber, he knows where the pressure on Foster comes from: himself. The first half seemed to revolve around Foster and his effort coming off of the bench for the Wildcats. Foster, who entered the game for the first time at the 14:07 mark in the opening half, quickly caught fire with two-quick daggers for his offense. He finished the first half with seven points on three of five shooting. Also making a contribution for his team, junior forward Stephen Hurt began to chisel away at the Horned Frogs’ defense underneath the basket. However, Hurt made his biggest contribution at the free throw line, knocking down all four of his shots at the charity stripe. 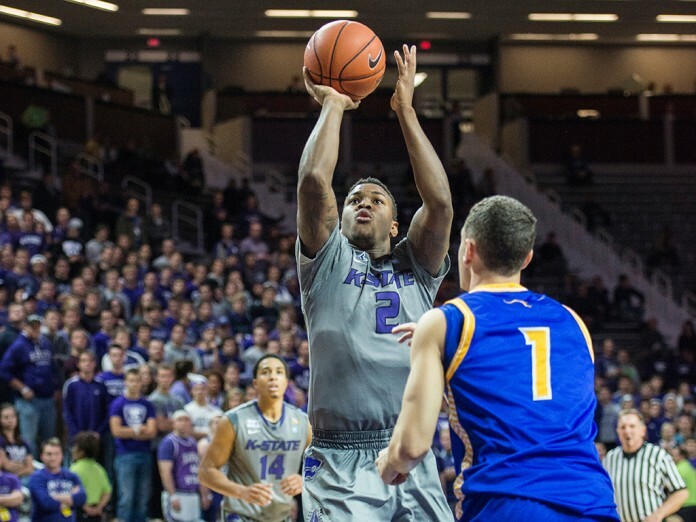 He and Foster’s shooting from the spot down the stretch allowed K-State to keep the momentum rolling to keep the Horned Frogs a safe distance away. Senior forward Nino Williams almost secured a double-double, with eight points and nine rebounds. Sinking 41.3% of their shots, the Horned Frogs outshot the Wildcats (38.1%). Wildcats went 22 for 29 from the free throw line.